Most, if not all, gluten-free and grain-free (paleo) baking cookbooks use flour substitutes that aren't healthy, because it's the only option. That is, until now. 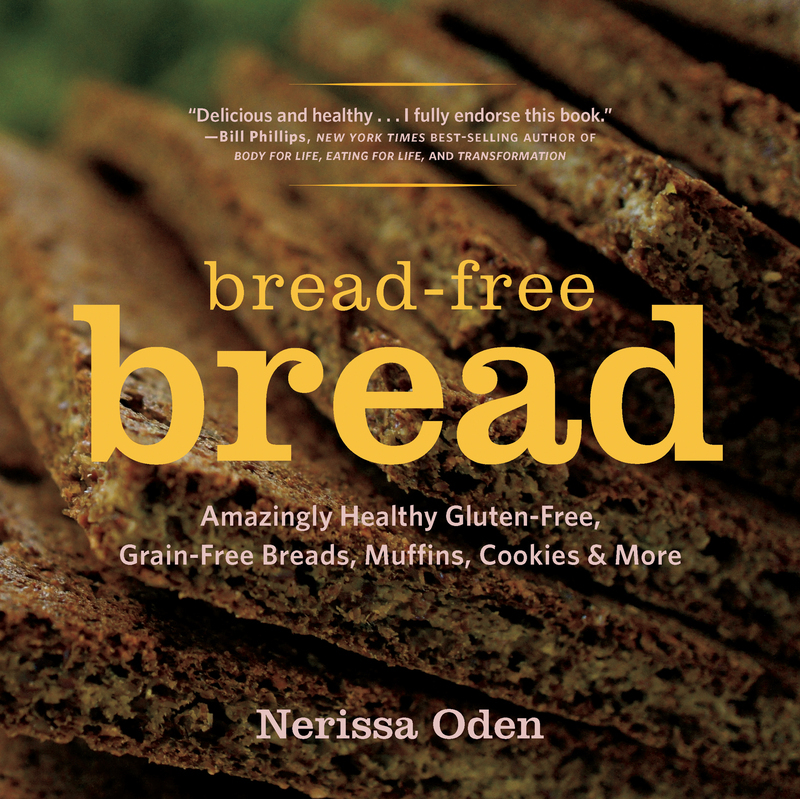 Nerissa Oden has developed recipes that use pure, wholesome ingredients in place of any type of flour, to make breads that look and act like the real thing—only much healthier. By blending vegetables with flaxseeds, pumpkin seeds, spices, and other natural ingredients, these “bread-free” breads are miraculously similar to traditional breads, with a great texture and taste. She's also come up quick breads, muffins, tortillas, and other baked goods with the same healthy ingredients. All of them are easy-to-make and packed with omega-3, fiber, and protein. More than 75 recipes range from basic Acorn Squash Sandwich Bread to Lemon-Rosemary Flatbread to Sunflower Seed Cookies. Perfect for people following a paleo diet or trying to avoid gluten, grains, yeast, and sugar, Bread-Free Breads deserves a spot on every home baker’s bookshelf. Nerissa Oden unknowingly battled food sensitivity for many years before a nutritionist helped her discover the source of her reoccurring ailments: food allergies and sensitivities to dairy, yeasts, sesame, soy, pepper and nuts. Since then, she has been developing and enjoying a variety of healthy-living, gluten- and yeast-free recipes. She and her husband, bestselling author Dr. Joe Vitale, live in Wimberley, Texas.